In smoke Silver with soft black leather interior, piano black detailing and turned alloy dash and waistrails. 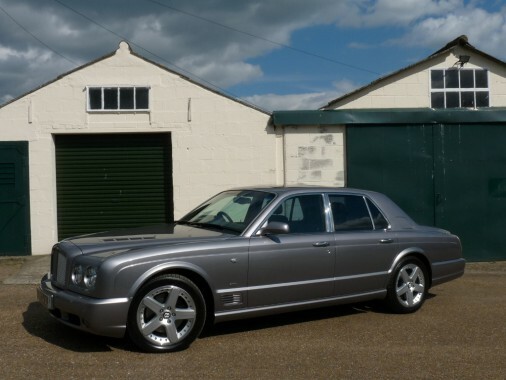 A stunning Mulliner T Level 2 in a beautiful colour scheme with only 31,000 miles from new and a full service history. Supplied by Jack Barclay. A 500 BHP, 6750 cc engine V8 engine with twin turbos is fitted with a superb specification including fully electric, memory heated seats, a sunroof, rear TVs, multi C.D. player along with an iPod adaptor, rear privacy glass, Diamond quilted seats with Bentley embroidering, satellite navigation, and park distance control.